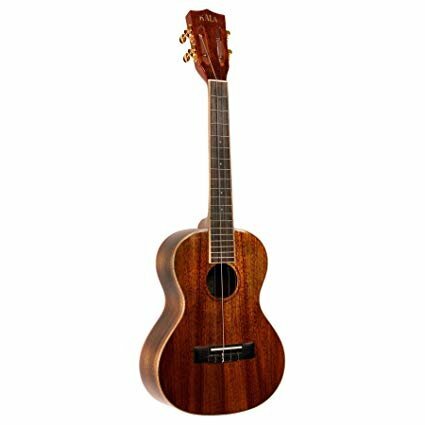 Kala's KA-KTG Tenor gives you deep, rich ukelele tone that's visually complemented by the rich hues of the instrument's koa top, back, and sides. Harvested on the Big Island of Hawaii, the hand-selected koa used in this instrument is a classic and sought-after tonewood. If you're a guitarist, this gorgeous uke is a natural for layering on top of acoustics in your recordings.